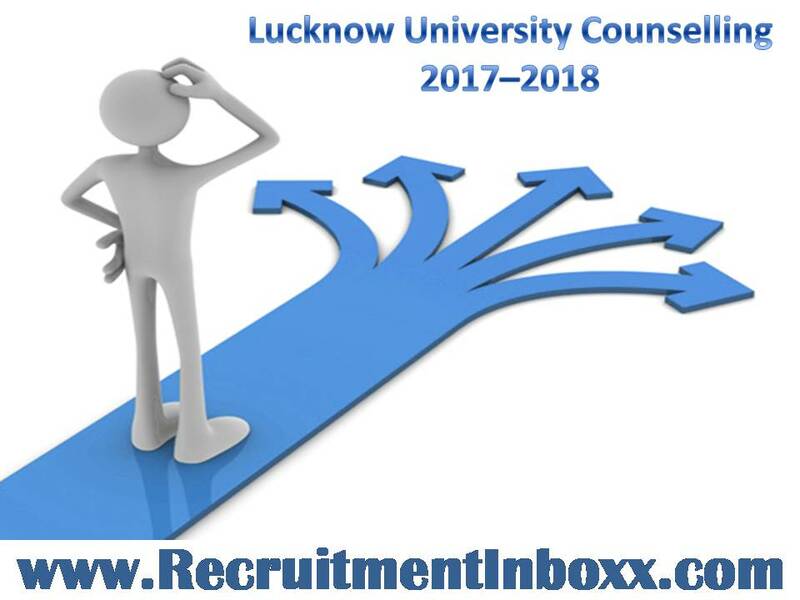 Aspirants willing to take admission in UG/PG Courses allied to Lucknow University are informed that selection board of University is all set to conduct the Lucknow University Counselling for the session of 2017-18. Earlier the university had organized the entrance examination for providing the admission to the eligible and suitable contenders. We have provided the complete registration details of under graduate as well as post graduate courses. Lucknow University offers various UG / PG Courses like BA, B.Com, M.Com, BBA, MBA, M.Ed, M.Sc, BCA, M.A etc. Aspirants who want to take admission in such courses will have to attend the Lucknow University Counselling. To know more about the entire details, aspirants need to go through the below section of this page which is well prepared by our team members. The university will provide the college to the deserving aspirants as per the ranked obtained by the contenders. After that you need to choose the college in which you want to take admission. Then individuals must fill the choice of course in form. It is informed to applicants that University will consider it according to your preferences and marks. After that the college will be allotted to the deserving applicants and also give you allotment letter. Satisfying contenders must lock their allotment to confirm their admission and report to the college at allotted date. The allotment of seat will be purely made on the basis of rank obtained by the contenders in the entrance exam. Candidates, who want to know more information, must hit on the link of Lucknow University Counselling. Photo ID and Address Proof (any one of the following) – Aadhar Card, Voter ID, Driving Licence, Passport, High School Mark sheet and Certificate, Sub Category Certificate, Weightage Certificate, 4 passport size Colour Photographs, Caste Certificate (If Applicable) – For OBC the caste certificate should be issued on or after July 1, 2014, Class 12 Mark sheet. Income certificate must be issued after February 1, 2017. If the contenders doesn’t possess valid income certificate issued by competent authority they will not get of fee concession. First of all, contenders should visit to the official site that is www.lkouniv.ac.in. On the home page, take your cursor towards top of the page and hit on the “admissions” link. After that, aspirants should fill the required details as Roll Number, DOB, Mobile number and email address and others. You will receive the unique verification code which you have to keep safe and then make the payment of fee. Candidates must carry their Original documents at the time of joining. All essential details concerning Lucknow University Counselling 2017 – 18 has been provided on this page. Stay tuned with us for getting latest information.